With the exception of Bao, the Oscar-winning Pixar short that was released with Incredibles 2 this past year, chances are you may not have heard of any of the other nominees for best animated short. However, despite the fact that most of the shorts were relatively unknown until their Oscar nomination, they are still well worth the 75 minutes it takes to watch them! Interestingly, three of the four shorts explored similar themes of parent-child relationships (with the exception of Animal Behavior, a hilarious, if not mildly crude, film about a group of animals in a therapy session). However, what I appreciated was the aesthetic differences of the animation style. While Bao, which follows a mother’s dream about taking care of a baozi (steamed bun) that comes to life as a boy, is in the sleek animation style typical of Disney shorts, the other films differed in texture and style. Late Afternoon, which explores the mind and memories of a parent with Alzheimer’s disease, invokes the illustrations of a children’s picture book. Weekends depicts the story of a child of divorced parents, and the back-and-forth between houses, and the film is both confusing and disturbing at times. Its animation was probably my favorite in terms if its style; it was sketchy and rich in color and shading. I felt as if I was watching a film come to life off of an artist’s pad of paper. 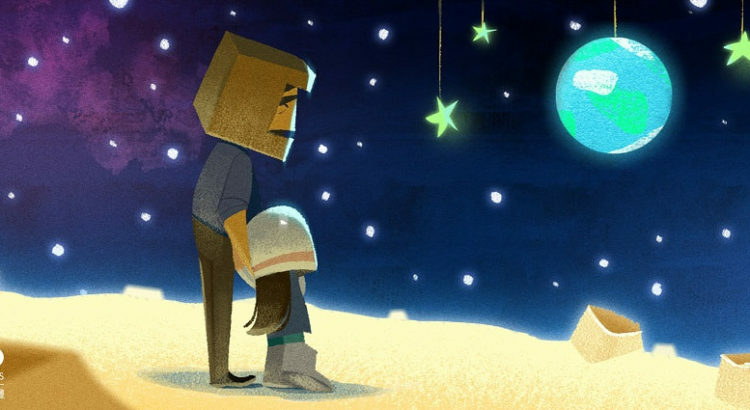 The last of the nominees, One Small Step, followed a young girl, the child of a single parent father, with the dream of becoming an astronaut. The animation was two-dimensional, but with clean lines and elaborate detail. With its dream-big plotline, and also emotional complexity, One Small Step ranked among my favorites of the collection of shorts. My most favorite of the films was, ironically, not actually a nominee for the Oscar. Tweet Tweet, which featured a small bird leading a girl (whose feet is all we ever see) across a tightrope symbolizing life, was Highly Commended by the Academy, but I think that it deserved more. The concept of the bird on a rope is mildly reminiscent of Pixar’s 2000 short For the Birds, but the story in Tweet Tweet is much more complex. The girl’s feet progress to those of a woman, are joined by another pair of feet, and then by a pair of child’s feet, and then her feet age to those of an old woman. The entire time, the small bird is a guide, and it is up to viewers to decide the meaning of this. Furthermore, there are clear references to Russian history, including, most clearly, World War II (the film was directed by Russian animator Zhanna Bekmambetova). The film was artistic, visually pleasing, and rich with symbolism. If you haven’t yet had the chance to see the film collection 2019 Oscar® Shorts: Animation, it is still showing at the Michigan Theatre!